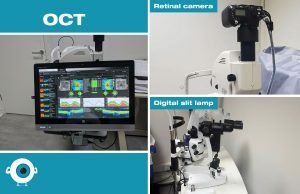 We are now offering an extended eye test with the use of our newly purchased state of the art machinery including top of the range: Digital slit lamp which assesses the whole eye from front to back and allows photographs to be taken as we examine. In addition to this, we have a new retinal camera and Optical Coherence Tomographer (retinal scanner). This equipment allows us to assess many eye conditions in more detail. 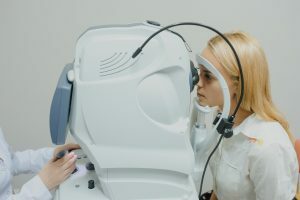 These conditions range from dry/watery eyes to more serious eye disease such as age related macular degeneration (ARMD), glaucoma and diabetic retinopathy.